Shares of Manchester-based cyber security company NCC Group fell about 30% on Thursday after it guided to lower full-year EBIT and said sales in the UK were held back by softer demand. Reporting its results for the six months to November 30, 2018, NCC said revenue rose 8% to £126 million. 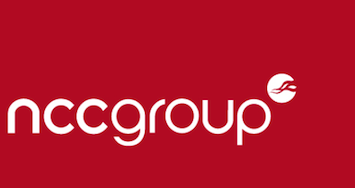 NCC chief executive Adam Palser said: “This is an important year of change for NCC Group as we implement our ‘Securing Growth Together’ strategy and transform the business into a world-leading cyber security and risk mitigation specialist. “We are pleased with the progress we have made, with continued growth in our core assurance division and a particularly strong performance in the US, the world’s largest cyber market. “While profits from our escrow division fell slightly, our experience in the US has given us confidence that we can re-energise the growth of this business. “We have assembled an excellent management team and are now installing the systems and processes that will enable us to operate as a unified global business, helping us to win more major contracts and focus on recurring, higher margin work. “The new team is now focused on accessing the resources to enable the group to fully capitalise on its growth potential, with retention and recruitment a key priority.